I’m still sometimes surprised how Facebook is able to mine our content, data and target ads to this. Case in point, yesterday a presentation was mentioning Lady Gaga tickets a couple of times as an example. 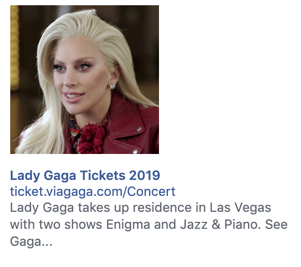 I was sitting in the audience and my Facebook must have been open to catch the audio, and target me with Lady Gaga ads for her show in Vegas. Also yesterday I posted a picture on Facebook with a hashtag father-daughter. 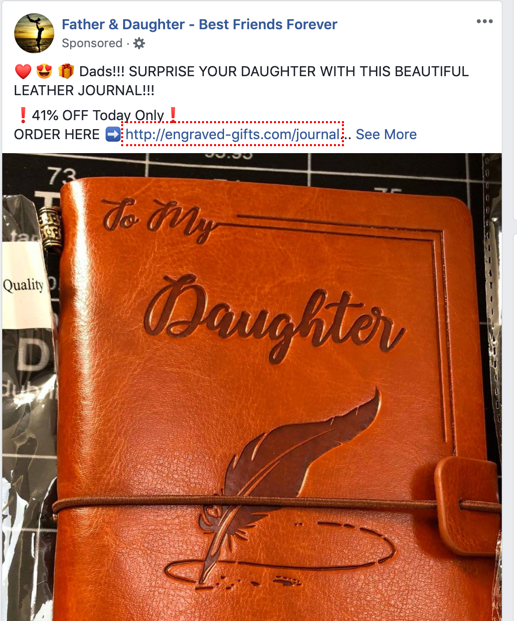 I now get a targeted ad for a father-daughter daily journal. Was this great targeting or was this a coincidence?